SEO (search engine optimization) is not a luxury for your website, it's a necessity. The purpose of SEO is to generate traffic from search engines that can be converted to leads that can eventually be nurtured into a sale. If you look at SEO as only a means to generate website traffic and not help you achieve your overall business goals, you are doing it wrong. Some businesses might attempt SEO in house, while many others will look for an SEO provider to implement the strategy. It's clear that most business owners don't really know what SEO is, so how do you know if you are hiring the right SEO provider? Asking the wrong questions will just get you answers with a bunch of technical jargon that confuses you even more, asking the right questions will help you feel comfortable with your decisions! 1. Who have you done SEO work for in the past? If the provider is reputable, they should be more than willing to provide names and/or websites in which they've done SEO as well as contact information for their day-to-day contact. They should also be able to share some performance information at a high level, but shouldn't get into sharing previous client's data unless that client has given them explicit permission to do so. 2. What's your SEO philosophy (in language I can understand)? While the question itself may catch them off guard, they should be able to answer this quickly and with confidence. At this stage in the game the provider won't know enough about your specific project to give strategy details, nor should they be expected to. You are hiring someone to that, remember? 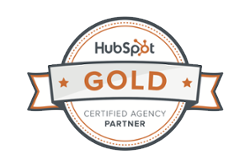 However they should be able to explain their approach to SEO without a bunch of technical jargon. 3. What will you require from me/us? If they answer nothing, they're lying. Your SEO strategy must be focused on helping to achieve overall business objectives. At the very least you will need to work with them in understanding those objectives. Helping a provider understand your business and your goals should be more than a 5 minute conversation. 4. How do you measure success? The answer they give shouldn't be solely focused on improving rank, that doesn't mean anything. 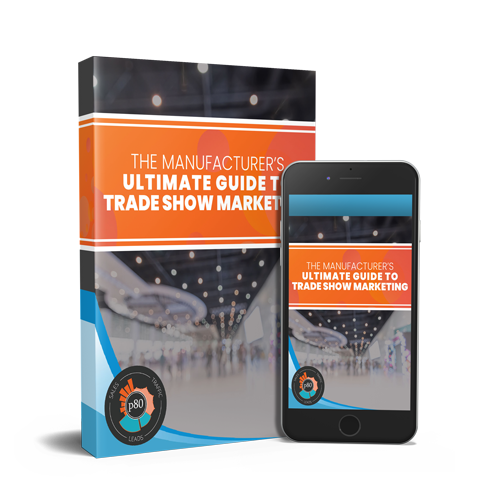 Success should be measured in getting high quality traffic to the website. On the flip side, SEO success cannot be tied directly to sales either. SEO is only a small part of an inbound marketing strategy and there are too many factors from the time you attract a visitor until the time they buy. 5. Can you tell me about your fees and payment? Nobody likes a surprise when it comes to bills. Find out how the SEO provider will quote your project and if the project will be billed on a project basis or a retainer basis. 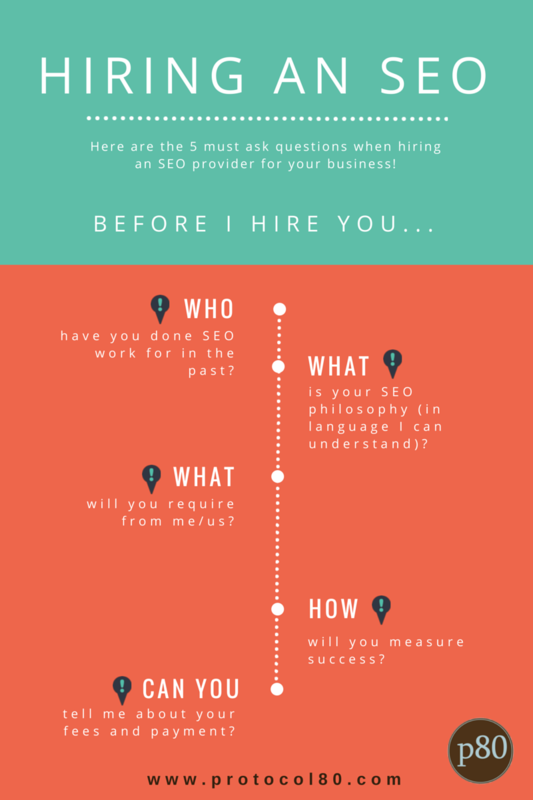 These are probably not the only 5 questions you should ask, but I would be hesitant to leave out any 1 of these 5 questions when hiring an SEO provider. By making an informed decision you'll get better results and ultimately be more happy with that decision!